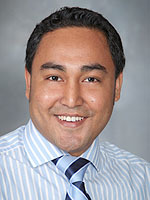 Dr. Maskey earned his medical degree from Albert Einstein College of Medicine and completed his Family Medicine training at Bronx-Lebanon Hospital Center, Bronx, New York. He is board certified by the American Academy of Family Practice. Dr. Maskey has special interest in preventive medicine, smoking cessation and care of chronic diseases such as hypertension and diabetes.